The Knights of the Round Table were the original knights in shining armour, and this book is for anyone who is interested in fantastical tales of bravery or the actual history behind the stories. In medieval Arthurian tradition, Arthur often takes a back seat in the most exciting stories, appearing at the beginning and end of each to set the scene and conclude the tale. The central character is instead one of the Knights of the Round Table, each of whom is confronted with a wide variety of challenges and quests ranging from fighting monstrous creatures and rescuing damsels in distress to coping with courtly love and intrigue. Although Arthur is the best-known character from these stories his key knights – including Lancelot, Gawain, Perceval, and Tristan – are almost equally well known. 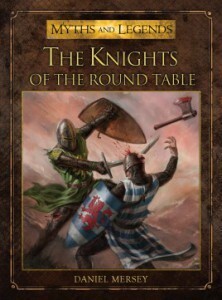 This volume provides a collection of the most famous and interesting tales of the Knights of the Round Table, including the historical and literary background to the stories.